Among the many established firms in the marketplace, &Wealth was expressly created to be the premiere financial advisory firm for a select group of women who are managing major life events and their own, new-found finances for the very first time. Given our clients’ distinct needs – along with their attorneys’ unique requirements, &Wealth simplifies the inherent complexities and reduces the stresses of the investment management, financial planning and divorce decision making process. With an elite, hand-picked team, &Wealth blends its focused step-by-step financial planning system with thoughtful communication and a personalized, “go-at-your-own pace” approach. How you feel about a financial decision is a valid factor in making that decision. Some of the wisest decisions are felt before they are made. That is why there is always room in our process for thoughts, perceptions, and your gut instincts. If an expert’s recommendation doesn’t make sense to you, permission not to follow it. Your advisor is there to ensure that your finances become a steady source of protection—not anxiety. We will walk you through this process in a thoughtful way. For decisions this significant, taking the time you need to understand the impact of your decisions is the way that we work. You deserve to understand why your advisor is recommending things, free from clocks and stopwatches. We have a strict open-door (and open-telephone and email) policy. 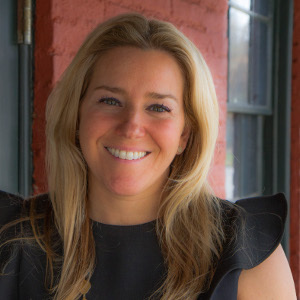 Dorie Fain is Founder and CEO of &Wealth, a boutique financial advisory firm expressly created for a select group of women who are managing major life events and their own new-found finances for the very first time. In recent years, &Wealth has evolved to become a premiere resource for women navigating the complexities of divorce. A third-generation investment adviser, Dorie spent 12 years at Smith Barney, where she became the youngest woman ever hired into their training program. As much as she loved the rigors of investment management at a big brokerage firm, she knew that her clients deserved more. Anchored in the belief that financial planning is the foundation of investment management, Dorie wanted her clients to experience more patience, more thoughtfulness, more personalized attention, more flexibility, and a steady-as-we-go approach. She followed her instincts and founded &Wealth to offer women more of everything that matters to them. Since founding &Wealth in 2009, Dorie has guided her clients as they’ve gone from cautious observers to thoughtful investors. She does this not by monitoring the S&P 500, GDP growth, or employment numbers, but by educating them about the process, helping them connect to their own needs, trusting their instincts, and thoughtful decisions—about everything from estate plans, to investments, to insurance plans, to retirement plans. Along the way, they rediscover resources they had all along— community, wisdom, resilience, and a renewed sense of confidence. When she’s not running after her young son, Dorie loves to run through books, tennis courts, ski slopes, and New York City streets. She is a board certified CFP® and a proud graduate of The Ohio State University.